I am 56, Height 5ft 9in, Weight 175, medium build. I’ve been combating Chronic Fatigue Syndrome and all my numbers are pointed in the right direction. I‘ve had all the symptoms of Low Testosterone with regards to Cognitive issues, brain fog, focus and concentration, low-level anxiety, slight depression and so forth. All this has mostly improved, even the fatigue is less. 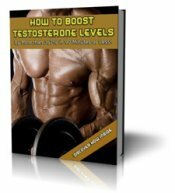 My testosterone levels are blood serum measured, 328 total, Total Free 43.7, Percentage 1.37. I don’t have a blood serum at this time, in eight weeks I will have that tested. I probably should request to get my SBHG tested as well. My doctor has placed me on sublingual testosterone daily, 2.0 units on the syringe, about one-half teaspoon or slightly more. He also placed me on DIM - daily, I am also taking Zinc 50mg for Estrogen blocking. I am also on HCG injection, 250 units M, W, F weekly. Should the Sublingual T be cycled? My Doctor and my goal is to get my levels up to 800 or above, and keep my estradiol reading low. I’d like your opinion please, on the amount and injection schedule of HCG I am taking. How effective will DIM, and Zinc alone will combat my estradiol? I am aware of Chrysin, Nettle root, Calcium, D and Glutamate. Should I be cycling all 5 of these supplements or am I fine with just DIM and Zinc and maybe just adding the Calcium D Glutamate, which I understand is good for regulating the SBHG. With the T-sublingual and Dim recommended by my doctor, his approach is, “NOT” to be overly aggressive, but to be gentle on my system/body, this included using DIM vice Arimidex. I am just trying to get some assurance that I am on a balanced approach for the long haul, as I will probably be on this the rest of my life. No one has explained to me if this is the life long approach or how this stuff should be cycled in order to keep optimum health. You're using sublingual testosterone and giving yourself HCG injections. On top of that, you're talking about combining the above with half a dozen or so supplements. If you're wondering how all this is going to turn out, scroll back up and re-read your message for a second. Sounds confusing, messy, and somewhat complicated doesn't it? How difficult is it going to be to maintain this delicate balancing act? And what about the inevitable lows that are sure to come along when you fail to get things just right? Will you go in to see your doctor every week for blood tests? How will this treatment effect you over the long haul? What sort of side effects will you be dealing with 10, 20, or 30 years down the road? We know for a fact that there will be side effects, there's no arguing that point. The only question that remains to be answered is, how bad will they be. In other words, are you going to be looking at testicular atrophy and gyno, or something more serious like prostate cancer, or liver problems. No one has the answer to these questions...not me, not you, not even your doctor. I can't give you advice on cycling HCG or sublingual testosterone, because I've never used either one of them. 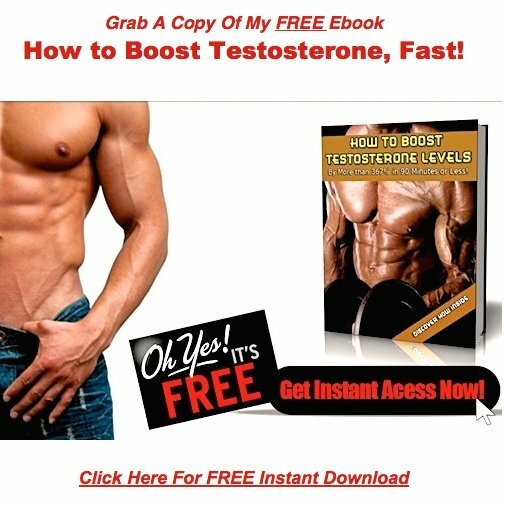 I cycle a few estrogen supplements when I feel like I need them, and I do the same with my herbal testosterone boosters. Steps I need to take in order to avoid the injections, the hormones, and the negative side effects that always come along with them. But that's the path I decided to take, way back when I was in your shoes. All you can hope for is that he knows EXACTLY what he's doing, because your quality of life is on the line here. I haven't given you much in this post, so I'll go ahead and give you my take on cycling the sublingual testosterone. I've gotten to know many men since I started this website, who have decided to get off the juice. The transition is never a walk in the park! My gut tells me, if you were to cycle on and off the testosterone regularly...you'd be in for quite a roller coaster ride. In other words, if you do decide to stick with the Testosterone Replacement, you'll be better off if you go all in. XMRV is a recently identified retrovirus that has been associated with chronic fatigue syndrome. In vitro research has shown that this retrovirus replicates under the influence of hormones, including testosterone. If you are XMRV positive, hormonal supplementation is likely to be contraindicated.